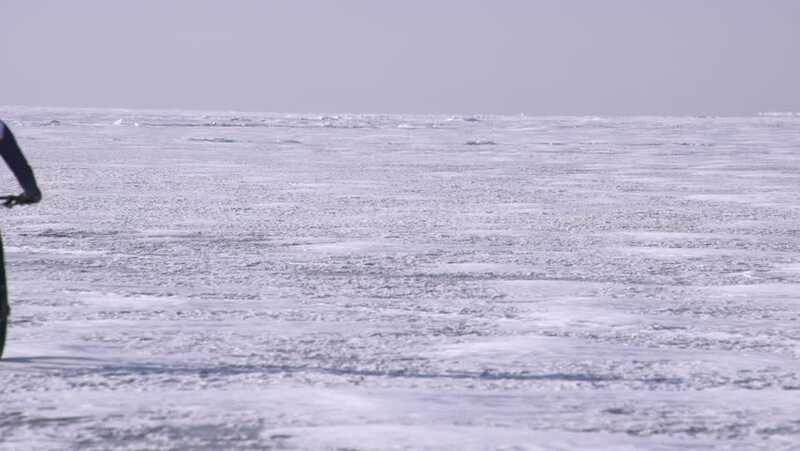 a sportive man riding a bicycle across a frozen lake Baikal in Russia in winter. 4k00:12Bonneville, Utah, USA-August 3, 2015. Motorhome traveling to Bonneville Salt Flats, Utah. hd00:18A group of narwhals move along the surface of Admiralty Inlet's waters.